Perdido is one of my very favorite jazz tunes. It’s such a simple tune, but it’s got a great melody, and the changes are just fun to blow on. 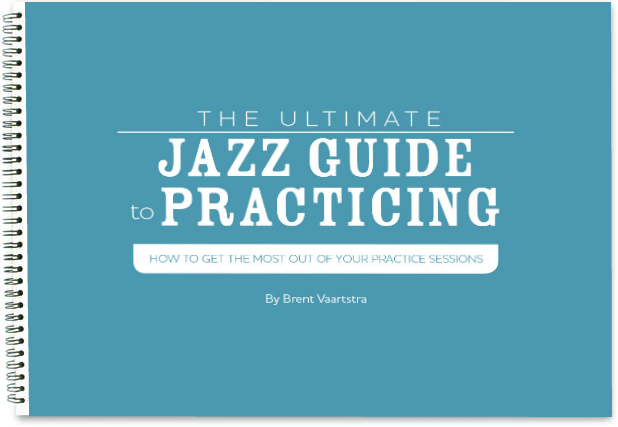 It’s not very hard, and it’s very accessible to most beginning jazz musicians, but also a favorite of many advanced players. I really fell in love with this tune when I jammed with Bruce Forman and Carl Saunders at the Great Basin Jazz Camp in 2008. I was on the faculty of the camp, and they were the artists-in-residence. Carl and Bruce both came in with the shout chorus in perfect unison at the end of the tune. I was in heaven! I don’t believe it is any sort of copyright violation to put up the shout chorus, so I will also include that. I HIGHLY recommend playing the shout chorus! Instead of playing the entire head at the end, I like playing the shout chorus over the first two A sections, and then come in with the melody from the bridge on. That’s one way of doing it. None of the videos include the shout chorus. It’s well-known, but not everyone plays it all the time. It’s optional, but very hip! Learn this Shout Chorus to Be Played at the end of the Tune! Learn this Perdido Etude with Sheet music for all instruments.